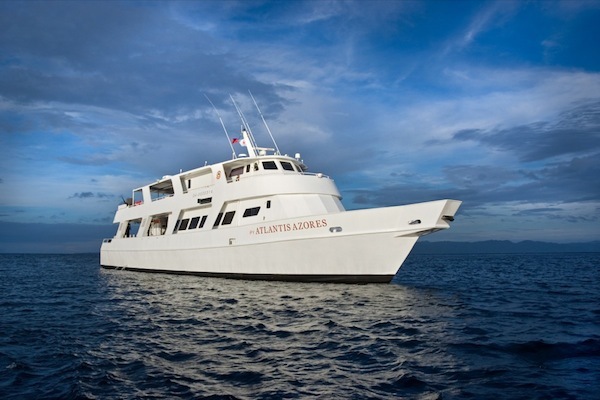 With an excellent safari to Coron Bay, Atlantis Dive Resorts & Liveaboards offers wreck diving at its best. Puerto Galera / Munich, April 21, 2016. Coron Bay offers the best wreck diving in Southeast Asia, all packed into one rather small area. More than a dozen grand wrecks of the Japanese fleet, which tell fascinating stories about the time when they were attacked by the US Navy in WWII, attract divers from all over the world for impressive dives. The successful “Wrecks of Coron” cruise by renowned Atlantis Dive Resorts & Liveaboards is a guarantee for perfectly organised diving adventures at this pretty mystic place. Coron Bay allows divers a descent to the past, literally. At times of WWII, the Japanese fleet was hiding in Coron Bay, in the northernmost part of the province of Palawan, in 1944. However, they were spotted by the US Navy on September 24, and a huge strike force of more than 100 fighters and bombers ruthlessly attacked the fleet at anchor. More than 12 ships were sunk by these heavy air strikes and can nowadays be explored by divers – a truly memorable adventure, as they are some of the best preserved wrecks in the world. With a length of more than 160 metres the oiler Okikawa Maru is the largest of the wrecks in Coron Bay. It was sunken by a direct hit on the bow. Lots of cargo can be discovered on the 120m freighter Olympia Maru. The wreck of the sea plane tender Akitsushima is truly iconic. Three decks with gears of a crane, turrets and a fascinating engine room can be explored by divers. The former refrigeration ship Irako is another awe-inspiring wreck with a nice galley area where pots and pans are still visible. Each wreck has its own particular characteristics, but all of them are impressively huge, covered with beautiful corals and offer a large variety of marine life as well as amazing artefacts. Besides having the opportunity to dive the best of the wrecks, guests will be told all about the unique history of the area in the western Philippine islands by the dedicated team of Atlantis Dive Resorts & Liveaboards. Apart from the sunken World War II wrecks at Coron, the exciting itinerary features Anilao with its fascinating macro diving, the legendary Verde Island as well as Apo Reef, the biggest coral reef of the Philippines and UNESCO World Heritage Site. Moreover, the trip can be perfectly combined with a stay at the Atlantis Dive Resorts at Dumaguete and Puerto Galera.